Hot Toys Mark XXII Hot Rod Announcement! Oh boy more Iron Man is coming, and this time we are introduced to the Mark XXII Hot Rod! 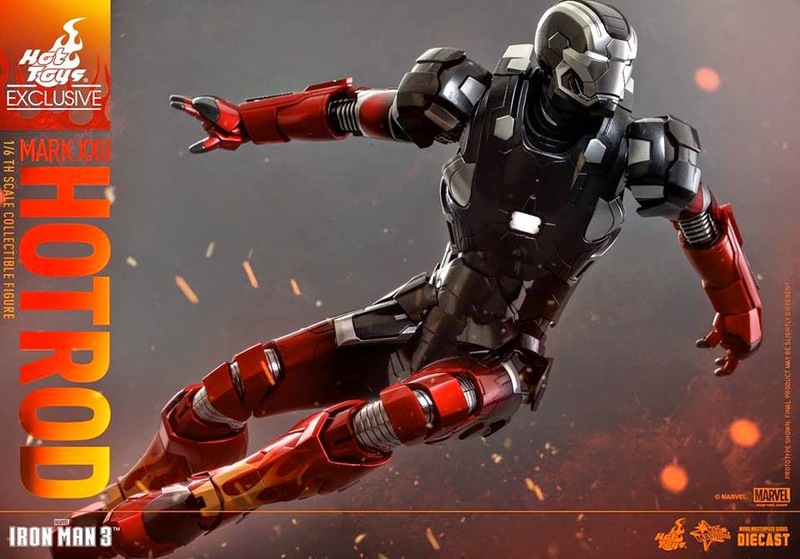 "Following the teaser announcement of “The Suit is on Fire” yesterday, many fans are excited to find out more about this Hot Figure and what the Hot Toys Exclusive items are. And now we are more than excited to unveil two Exclusive items from many fans’ favorite Iron Man 3 and Star Wars. This year, Hot Toys is delighted to participate in the first “Toy Soul 2014” event in Hong Kong on Dec 19-21 at Star Hall, Kowloon Bay International Trade & Exhibition Centre (KITEC) , the first toy exhibition in Hong Kong focusing on toys and collectibles and tailored for toy fanatics. The two exclusives are presented as a prelude to Toy Soul 2014. During the event, Hot Toys will also bring more amazing collectibles to fans, so please stay tuned on our Facebook page for more updates. The collectible figure will be firstly available worldwide at “Toy Soul 2014”, customers in Hong Kong, please visit Hot Toys-Secret Base’s Facebook Page for pre-order details. For fans overseas, please continue to stay tuned on our Facebook Page for latest pre-order information!" So it seems not only will this be a die cast figure, but it will also be an Exclusive item. I'm kind of excited for this and leaning on getting this. Are you excited!? UPDATE: Pre order begins here!